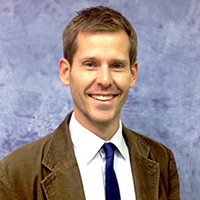 Joel D. Worden, Ph.D., is an associate professor of English and communication at Goldey-Beacom College. Joel consults with businesses and individuals to increase the effectiveness of their verbal and written communication. He earned a Ph.D. from the University of Delaware for his work on portrayals of the Galapagos Islands in American fiction.